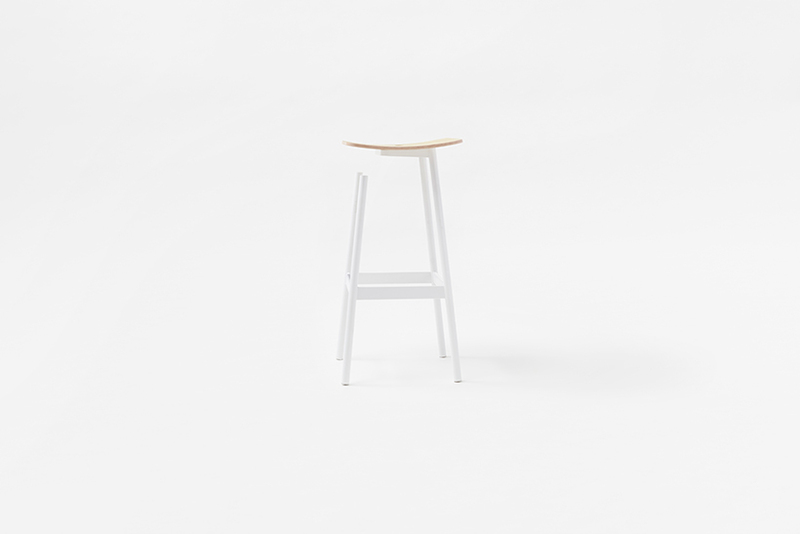 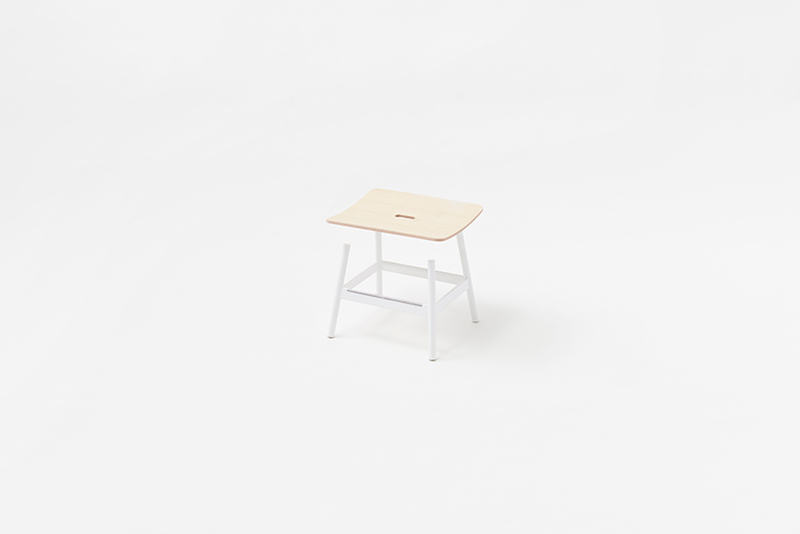 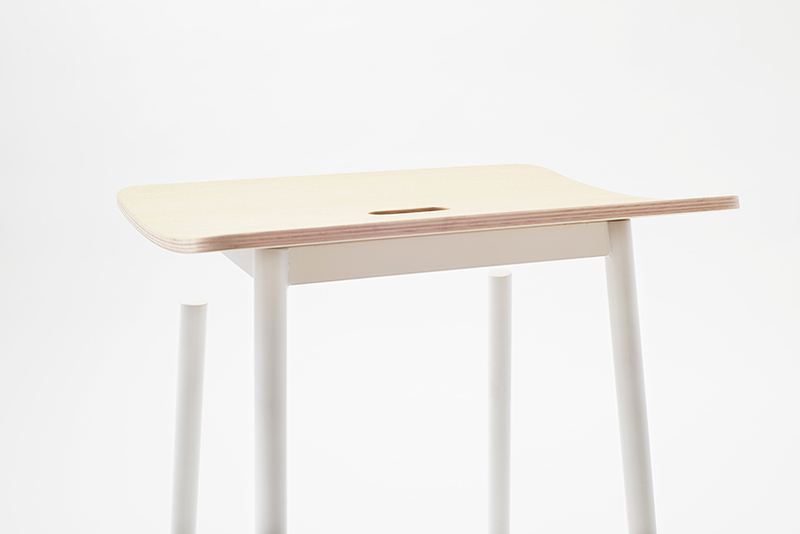 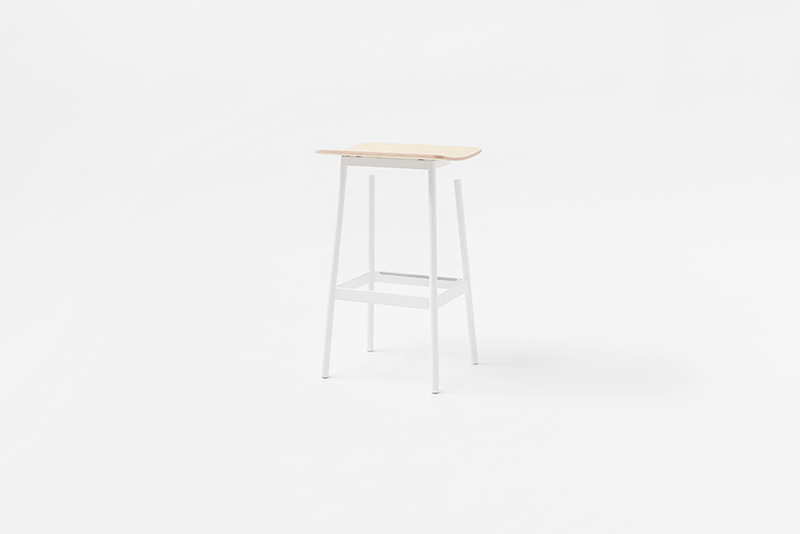 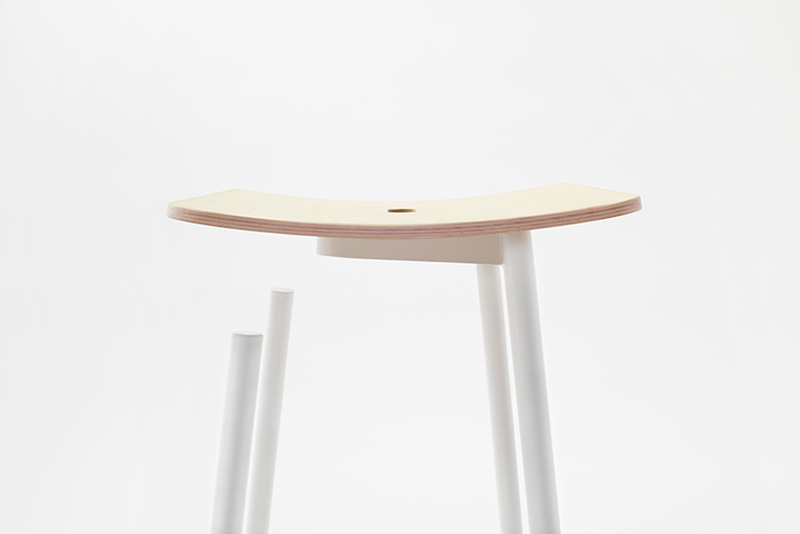 A seemingly plain stool with a rectangular plywood seating surface and steel pipe legs. 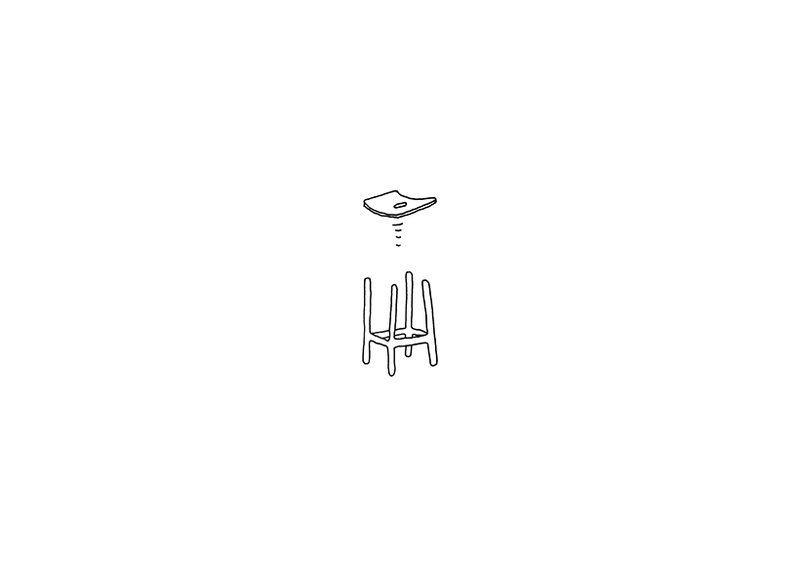 2 of the 4 legs have been cut off from under the seating surface, hence creating a visual effect where the seat looks like it is simply floating in the air. 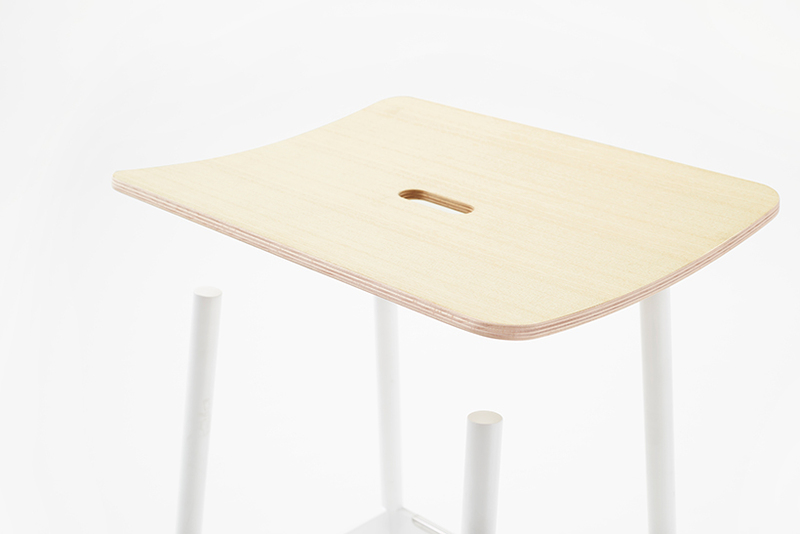 By utilizing the structure of the cantilever that only supports the back legs a cushiony feel has been given, with the intent to provide a varied comfortable seating experience.